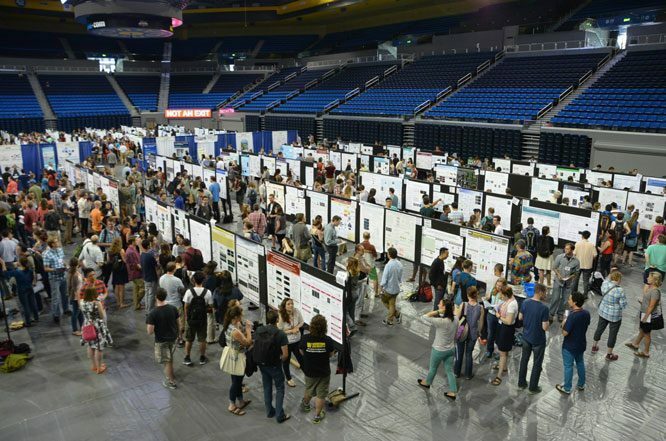 Poster session at a recent GSA conference, the 20th International C. elegans meeting. Scientific progress runs on the intellect, curiosity, and passion of its practitioners fueled by the research dollars of its sponsors. The concern over research funding in biology in general and genetics in particular led GSA to survey our membership to learn more about the federal support of genetics at the level of individual principal investigators. The results paint a mosaic of circumstances—some good, others not-so good—that describe some of our present challenges. To learn more, read The State of Federal Research Funding in Genetics As Reflected By Members of the Genetics Society of America by GSA President Jasper Rine and GSA Executive Director Adam P. Fagen. Tell us your stories and participate in the discussion. We invite you to post comments here at Genes to Genomes, as replies to this post.